Le Chêne et le Roseau is a brand new organic detergent range combining efficient and environmental friendly products. These products certified by ECOCERT are made exclusively in France for responsible household. They combine French Savoir-Faire and a civic approach. Indeed, our family SME (created in 1924) most important mission is to work in order to create a better world for future generations. This natural and organic soap certified by ECOCERT Greenlife, is fragrance-free, has no dye, no paraben, no EDTA. It is soft for your skin and environmental friendly. 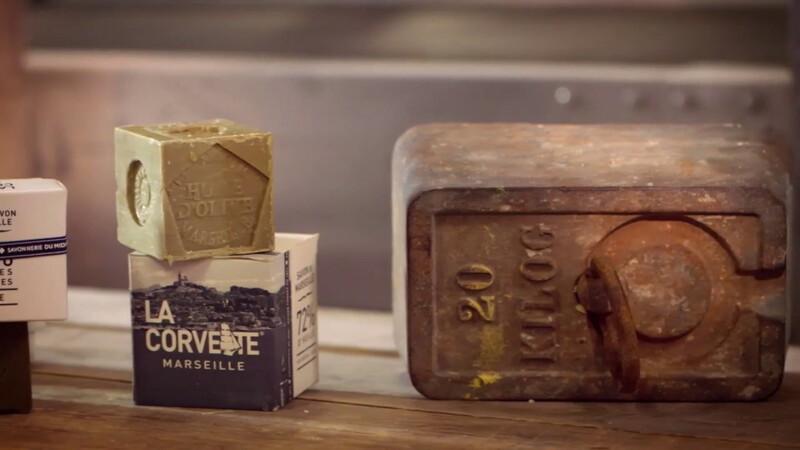 The traditional olive Marseille soap LA CORVETTE respects the home-made charter fixed by the Union of Marseille soap Professionals: made in Marseille, according to the traditional process of cauldron cooking, with vegetable oils only, without any chemical additive (colouring agents, fragrances, preservatives, etc). It is hypoallergenic and respects the environment. This gift box includes 2 organic soaps: Fig Leaf and Argan Oil and a hand-towel made of organic cotton. The hand-towel is manufactured in a ecological process. 100% natural vegetabel oils. Natural fragrances. 75% of the total ingredients are coming from organic agriculture. Savon Douceur Bio Fig Leaf : SODIUM PALMATE**, SODIUM PALM KERNELATE**, AQUA (WATER), GLYCERIN**, PARFUM (FRAGRANCE), TETRASODIUM GLUTAMATE DIACETATE, SODIUM CHLORIDE, SODIUM HYDROXIDE, CITRIC ACID, LINALOOL, LIMONENE, EUGENOL. LA CORVETTE hand cream is enriched with olive oil, vegetable glycerin and shea oli acting on softness, hydration* and skin elasticity. Its olive flower fragrance is subtle and delicate. Its texture is smooth and non-greasy.